Iran Invites Pakistan to Join Port Project with India - Integration Through Media ....! 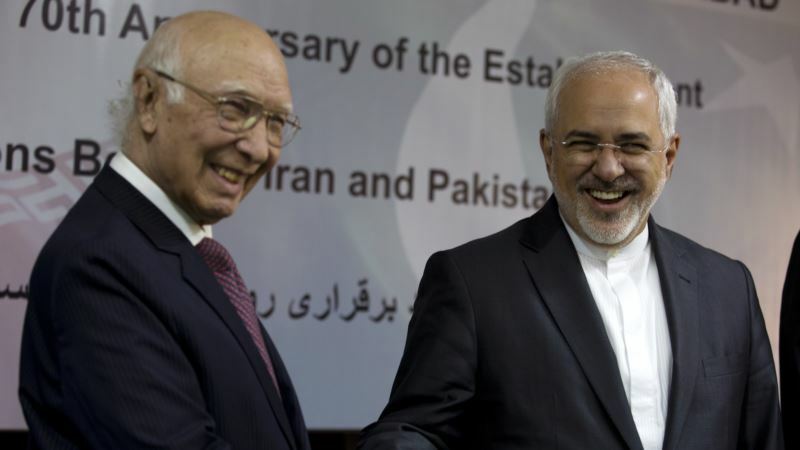 (VOA): Iran's foreign minister has wrapped up a trip to Pakistan in which he made a surprise offer to let Islamabad take part in a major port project partly funded by Pakistan's archrival India. India has helped to expand and develop Iran's Arabian Sea port of Chabahar as part of efforts to set up a trade link to Afghanistan and Central Asia that would bypass Pakistan. But Iranian Foreign Minister Mohammad Javad Zarif told Pakistan's Geo TV late Tuesday that Iran was open to participation in the project by Pakistan and China, both of which India views as rivals. There was no immediate response from India, which has committed up to $500 million for the development of the Chabahar port along with associated roads and rail lines. In November, New Delhi shipped its first cargo of wheat to Afghanistan through the Iranian port. Zarif, who arrived on Monday, met with senior officials and praised Pakistan for the “timely” sharing of intelligence, which he said allowed Iranian border guards to kill two would-be bombers. The restive area along the border has been the scene of several attacks by armed groups as well as drug smugglers. Last year, gunmen killed 10 Iranian border guards in an attack that strained relations. Zarif said the “terrorists” are still holding a border guard and asked Pakistan for assistance in retrieving him. Authorities have not provided further details on who was behind the attack. Zarif did not comment publicly on Pakistan's recent deployment of 1,000 troops to Saudi Arabia, or the assignment of a former Pakistani army chief to command a Saudi-led coalition that bills itself as an Islamic alliance against terrorism but does not include Iran. Pakistani officials have said the troops will be providing training to Saudi forces, particularly in mountain warfare, and will not be taking part in the war in Yemen, where a Saudi-led coalition has been battling Iran-allied Houthi rebels since 2015.